One of the popular and classic themes is the rubber ducky theme. 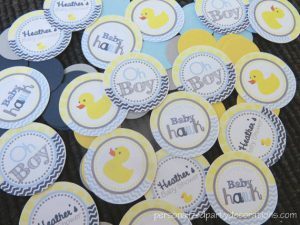 There are many fun rubber ducky baby shower supplies out there and this theme can be used for both boy and girl. When you think about baby ducks, you think about bath time so rubber ducky products can be easily found everywhere especially online. Main colors for this theme is blue and yellow. But now you can also find pink rubber duckies if you would like for a girl party, so you can have pink, yellow and blue (duckies need some water!). Ashley’s so lucky, she’s having a ducky! Splish Splash, come join the party! To decorate the room or hall, balloons are always a good idea, use blue and clear balloons to look like soap bubbles. Paper plates, cups and napkins in the duck theme would be lovely. This will help very much on your décor. 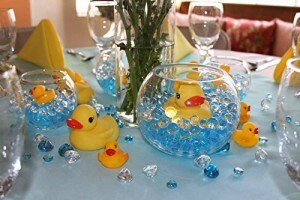 Here are some party supplies you can use; rubber duck tableware or rubber ducky party kit. Every party needs at least one of these; streamers, garlands, tissue poms poms or paper lanterns. 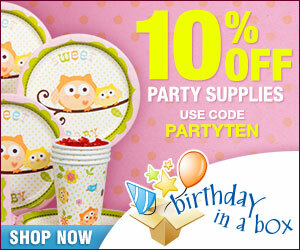 This is an easy way to enhance the decorations for the party at a minimum cost. Some of these decorations can also be handmade if you have the time. You can also add duck plush toys and spread around some confetti around to add some more ducky feel. As per picture below, this is a cute way of decorating your tables. If you want to recreate this, you can find these blue gel beads here and most probably you can find these small bowls at your local dollar store. The mini ducks are found here. 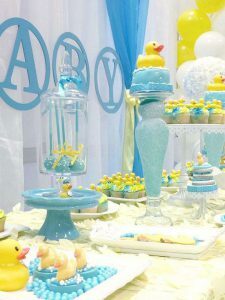 You can always add rubber ducky baby shower confetti on your main table such as the dessert table or on each guest table. You can also use these to make some other decorations or thank you cards/tags. 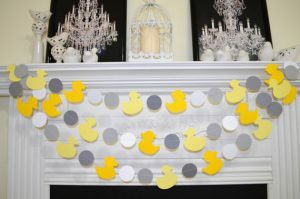 Garlands can be used everywhere, same as balloons, here is a pretty garland with yellow and grey colors. On the buffet or candy table you can buy an inflatable duck tub and fill them with guest favors and add few mini rubber ducks for accent (like mother and her little babies). The tub then can be used by mommy afterwards. 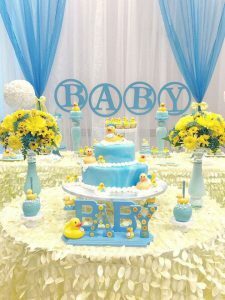 A wonderful centerpiece for a rubber ducky theme baby shower is a glass container filled with water (with a dash of blue food coloring) and have a rubber ducky floating or mini duck candles. 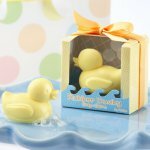 Duck shaped soaps can be added on table and used party favor giveaways. Other favors can be bubble bath, bath salts or duck shaped candles. One food idea would be to use a punch bowl, but instead use blue Hawaiian punch with some 7-up or carbonated water. Instead of a punch bowl you can use a dispenser. You can also make a cake in a shape of a duck, found here. Another easy food item would be cookies in shape of a duck. Decorate them in the same color scheme and these can be also a perfect favor for the guests when they leave. 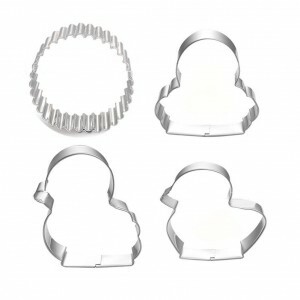 You can also use the duck cookie cutters to cut out sandwiches on that shape. 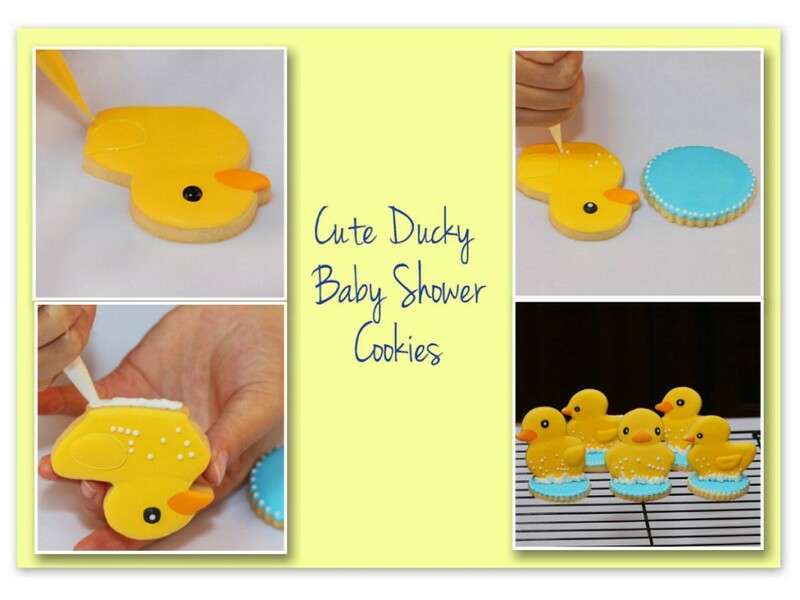 Recreate these cute ducky baby shower cookies for your next baby shower with the above cookie cutter set. When creating food items, always put the little cards indicating what type of food it is. You can write them or print them out. There are many cute favors you can buy and make. 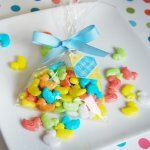 A simple on is putting sweet tart candy ducks in a clear plastic favor bag, tied in a duck ribbon. You can print and cut out simple tags to add an extra touch as shown in picture below. You can also get 1 bl of bulk sweet tart duck candy in yellow only here. 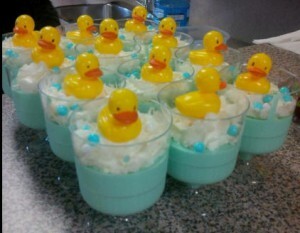 Another idea for a favor would be little duck soaps, here is an example, pre-packaged for you. They are $2 each. What will a baby party be without a cute baby shower diaper cake. There are many to chose from. You can find many online or you can get creative and make your own. Here is a pretty 2-tier diaper cake which comes with Johnson & Johnson products, receiving blankets, sponge, washcloth, bottle brush… It’s about 13 inches high, so if you think it’s too small for your centerpiece table, you can always place it on a decorative box to elevate it (just take a plain box, or shoe box and wrap it with nice theme paper). 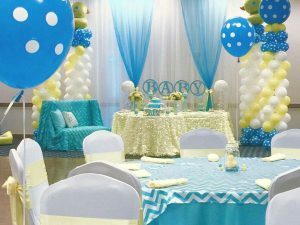 Here are more baby shower game ideas you can chose from. Ideas are endless but hope these ones are helpful to you. 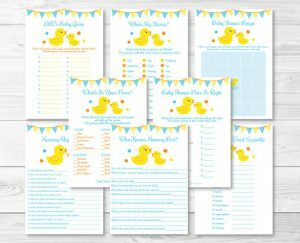 If you are contemplating if you should chose this theme, don’t worry rubber ducky baby shower theme is always a great hit! Have any other ideas? Would love to hear them! This entry was posted in Theme and tagged Ideas, Supplies, Themes. Very sweet:) I love rubber duckies! Was looking for adorable ducky supplies…and glad I found them here! Love your ideas especially the cookies…how cute are those! You’re right, great idea for favors. Do you have any pictures with these cookies in those favor bags? Very nice idea for a child party also! Hi Cristina. Thanks for stopping by. Unfortunately don’t have pics of those cookies in a favor bag. 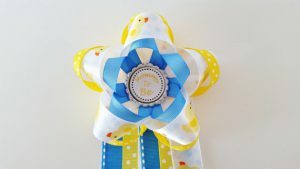 I actually like these yellow with white polka dot favor bags, they have them also in baby blue. Just add a ribbon and you can display them on the main table as part of your decoration! 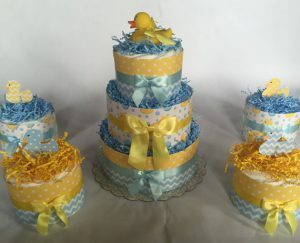 This is such a great theme for a baby shower for either girls and boys, because who doesn’t like a baby yellow, rubber ducky! 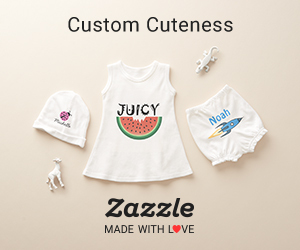 I really like how your site includes alternative handmade / homemade options for decorations and games. 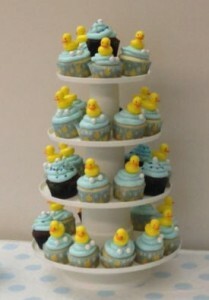 The food ideas are inspired and look tremendous when grouped together, like the candle cupcakes and the swimming baby ducks. Many of these ideas could also be used for young children’s parties. But I have to say for me, the icing on the cake was the inclusion of a Diaper Cake! I have never heard of this concept before and I think every new parent should be given one… a totally brilliant idea. Thank you Sue. 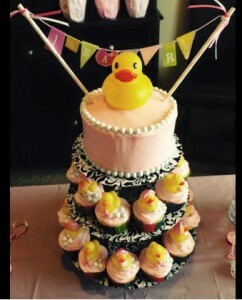 I agree the Rubber Ducky theme is a also a great idea for a little ones birthday party. Diaper cakes I find them not only great decor but excellent gift! I’m planning a baby shower for a friend in a few months so thank you for all the good ideas i got here. I especially loved the cookie cutters. You are very creative and I think you put this post together in an easy to follow way that inspired me. It was a fun read! You are much welcome Jackie. 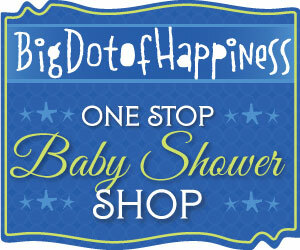 It can get a bit hectic when planning a baby shower but if you follow few simple steps, it is pretty easy and fun! Good luck with your friend’s baby shower! 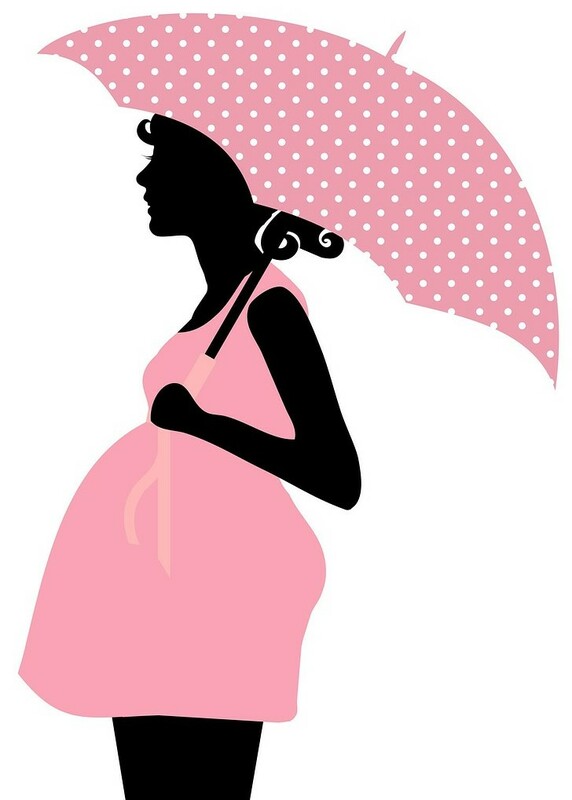 Hope you have a wonderful baby shower!